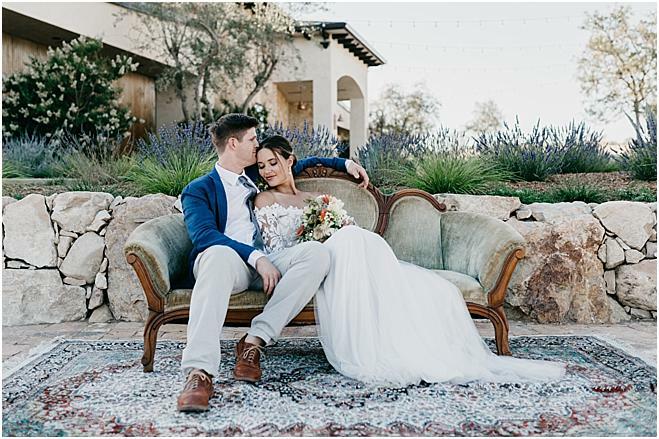 Inspired to bring an elegant, romantic Italian feel to complament the striking natural beauty of Rava Wines, an incredible team of vendors paired modern design elements with timeless decor to create the most beautiful styled shoot on California's Central Coast. 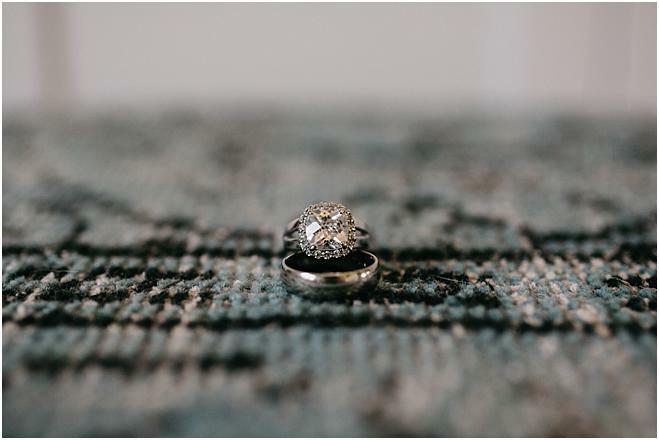 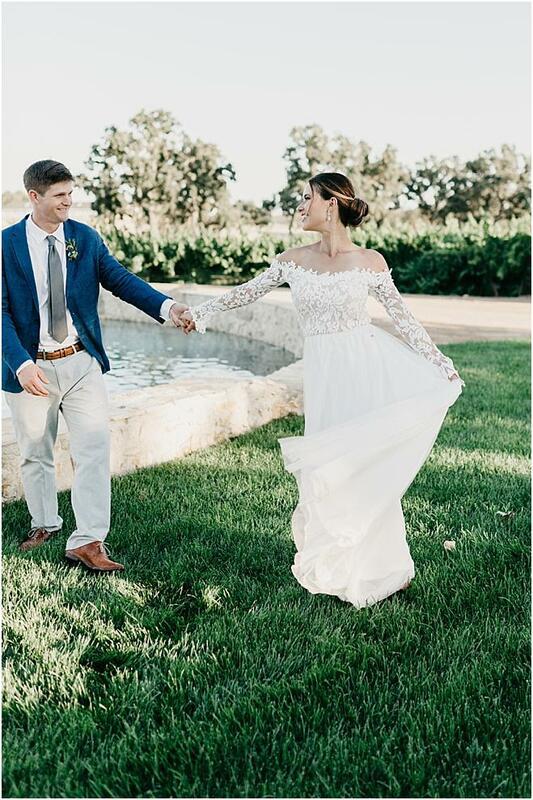 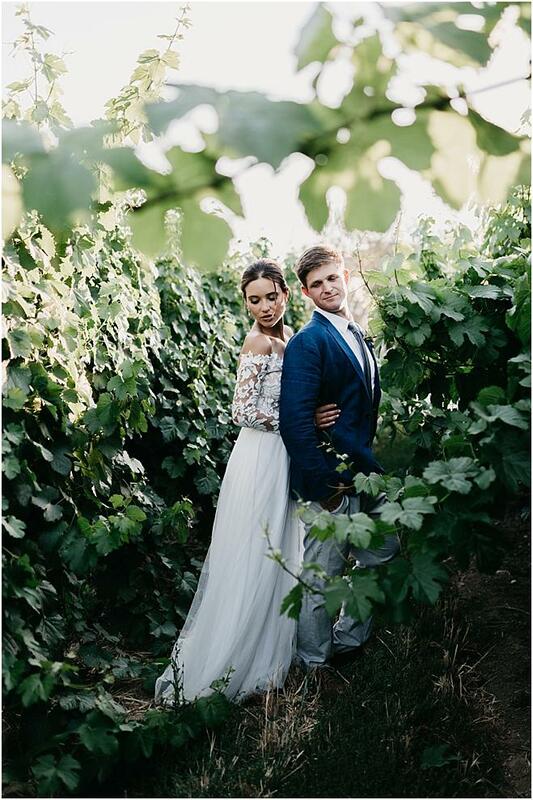 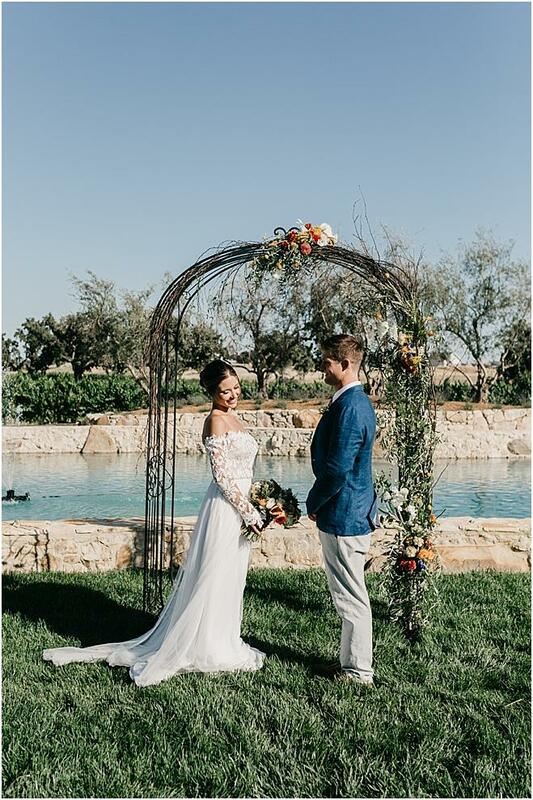 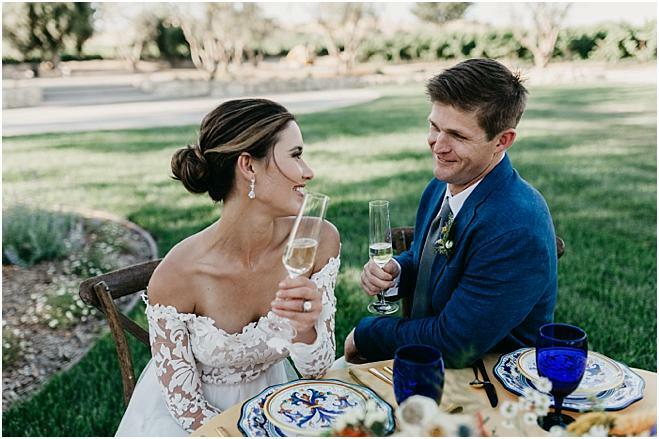 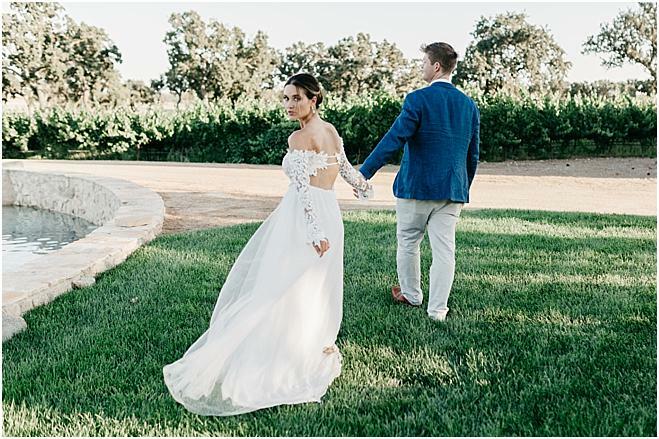 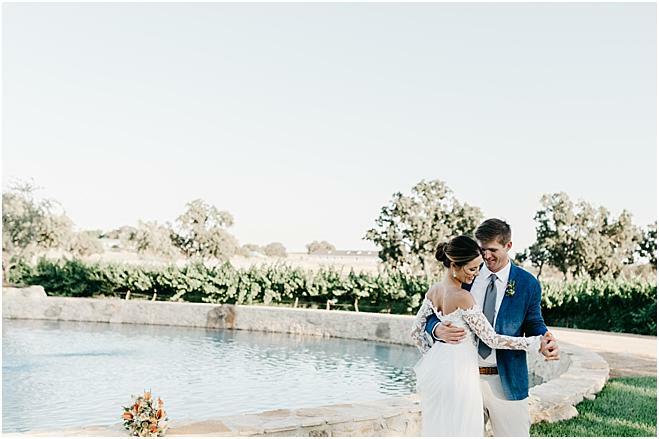 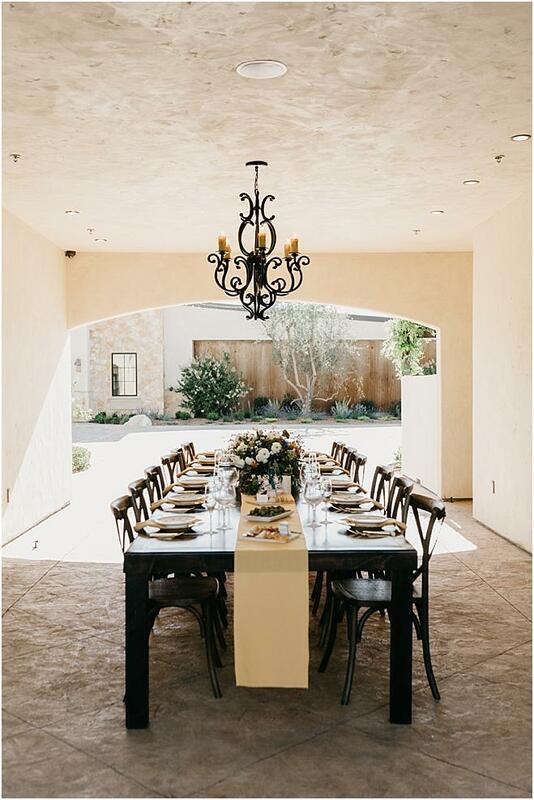 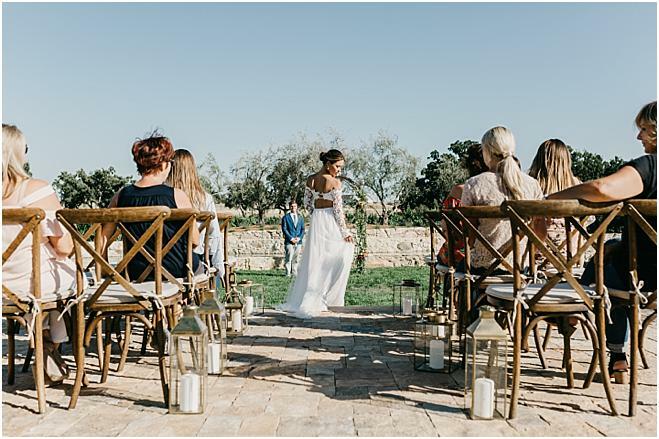 Nestled right in the heart of Paso Robles wine country, Rava Wines encompasses an 80 acre vineyard complete with luxury accommodations, including a private indoor ballroom and gorgeous outdoor ceremony sites to ensure you have the wedding of your dreams. 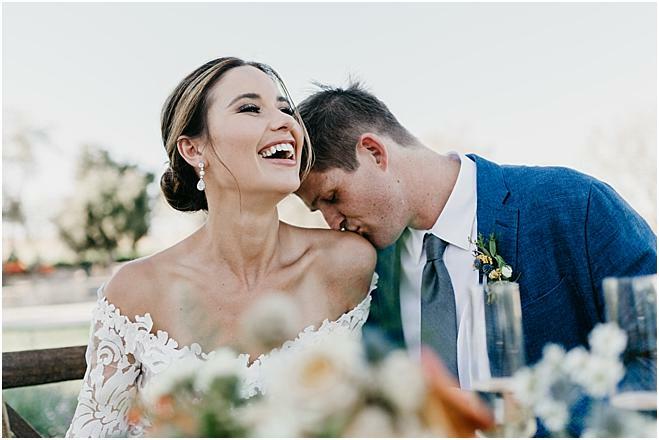 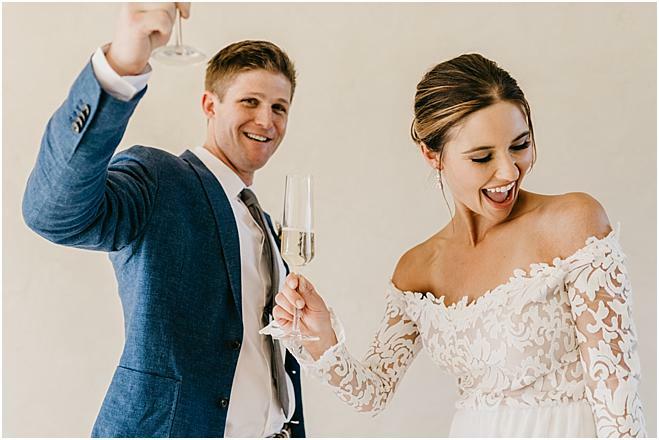 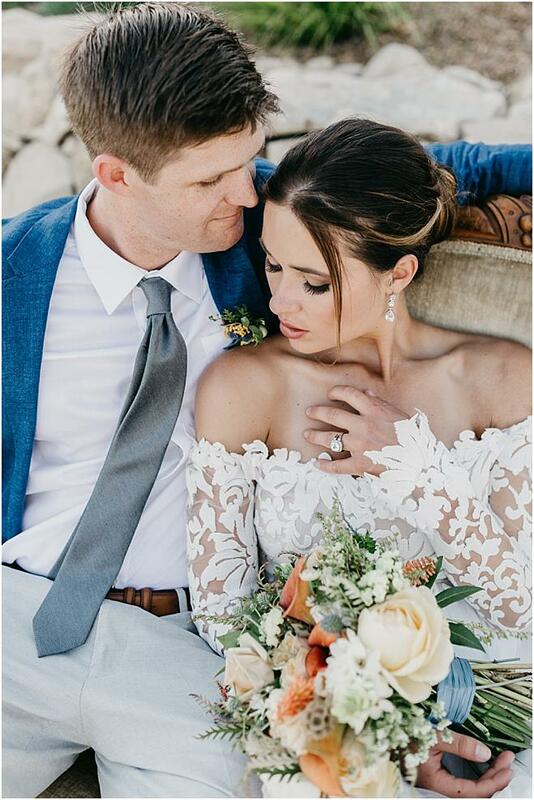 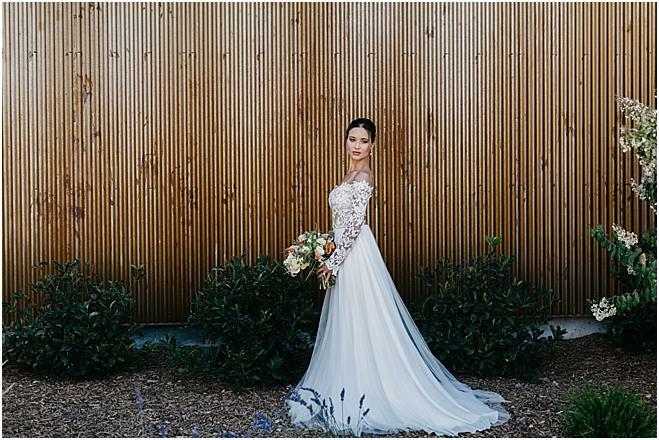 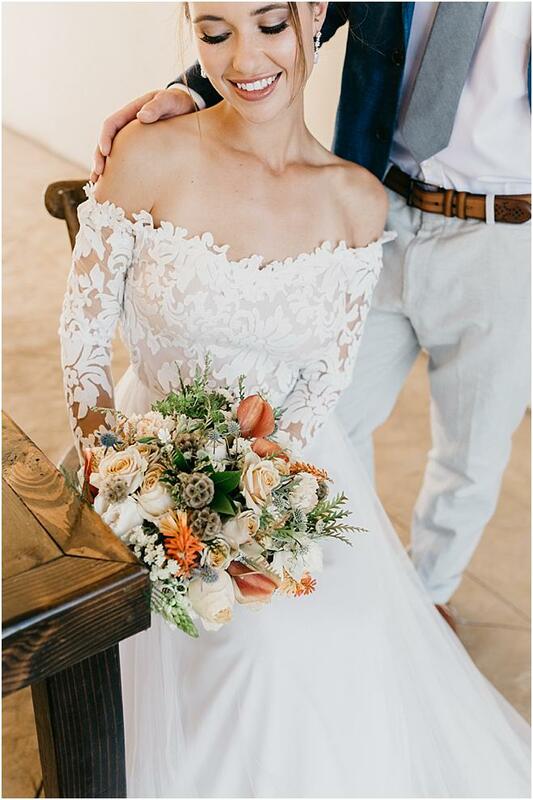 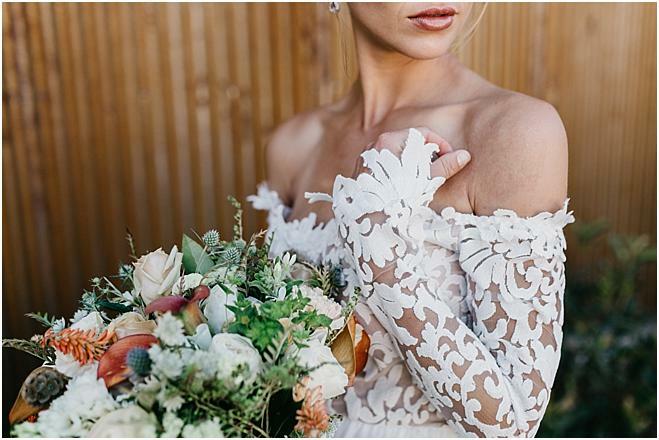 The bride stunned in an elegant off-the-shoulder lace gown by Wear Your Love and a makeup look by Tami Bernard highlighting sun-kissed skin, bronze smokey eyes and a golden bronze lip completed the flawless display of beauty. 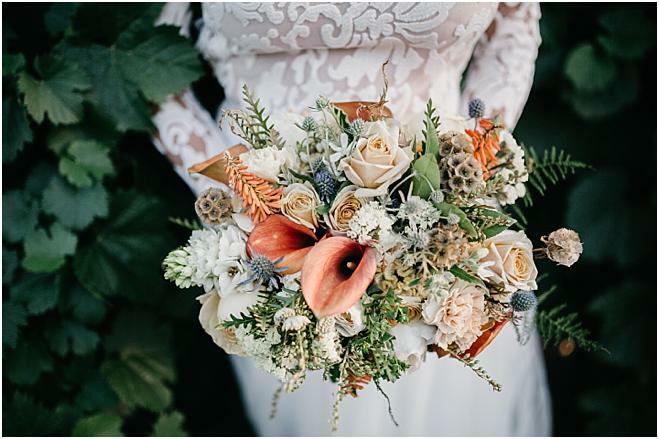 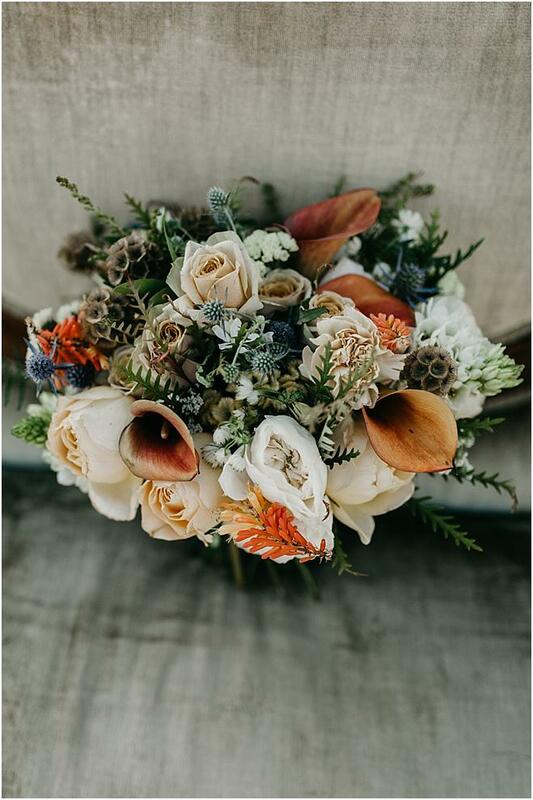 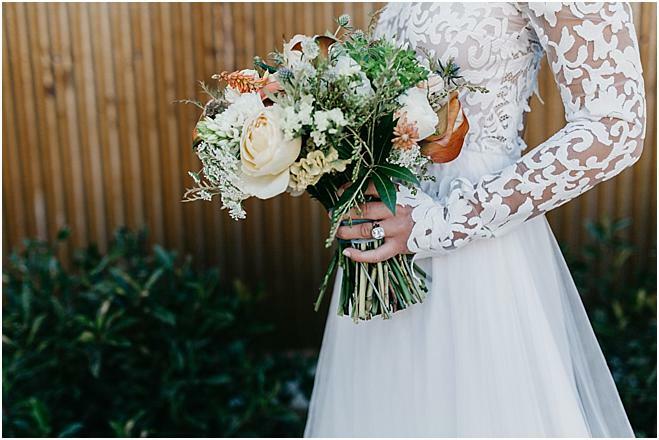 A breathtaking bouquet by Flowers by Kim flaunted shades of orange, ivory, rust and green, contrasting the deep blue tones of the shoot. 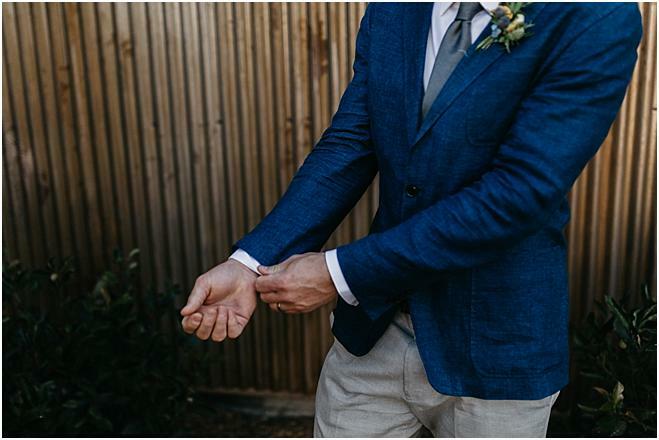 The groom wore a navy blue suit and a neutral-hued boutonniere, perfectly accenting the Italian color palette. 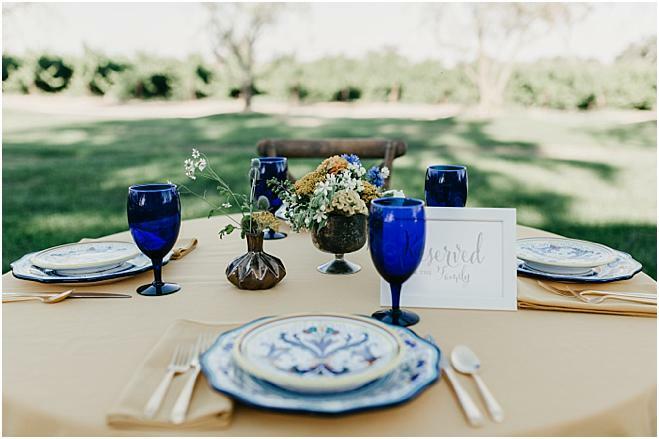 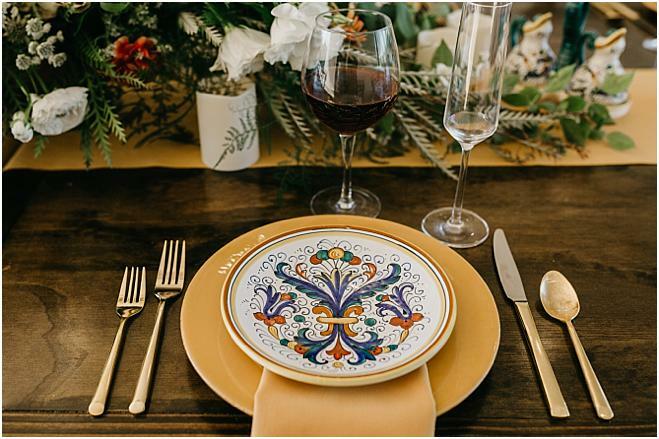 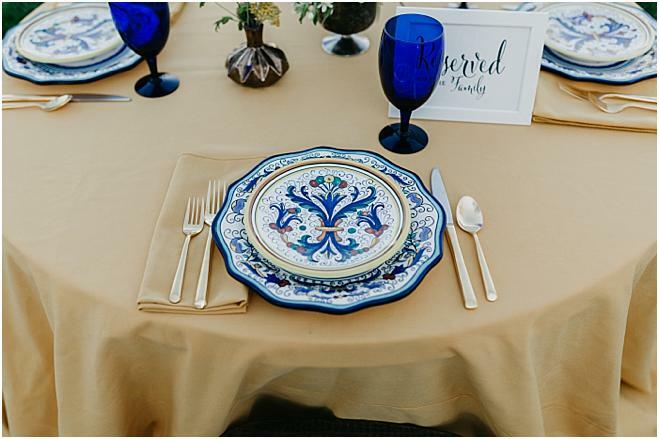 Nanci Bernard, Wedding & Event Planner composed the most amazing table setting relfecting the landscape of the venue, with authentic Deruta Italian place settings that incorporated incredible tones of rust, blue, gold and a pop of green to enhance the natural theme. 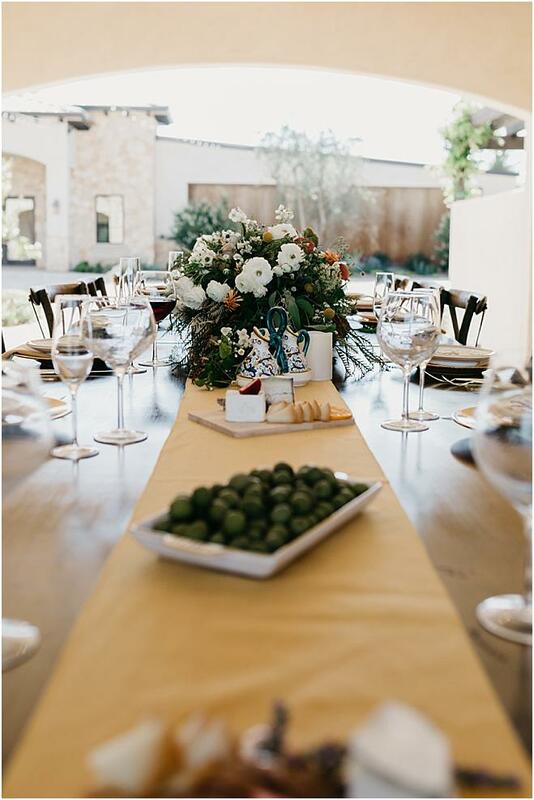 Caramel antique garden roses, yellow celosia, blue thistle and flame calla lillies, among other fresh florals, made for a beautiful centerpiece, while 15 Degrees C Wine Shop & Bar showcased an incredible array of appetizers including local cheeses, charcuterie, meats, fruits and nuts. 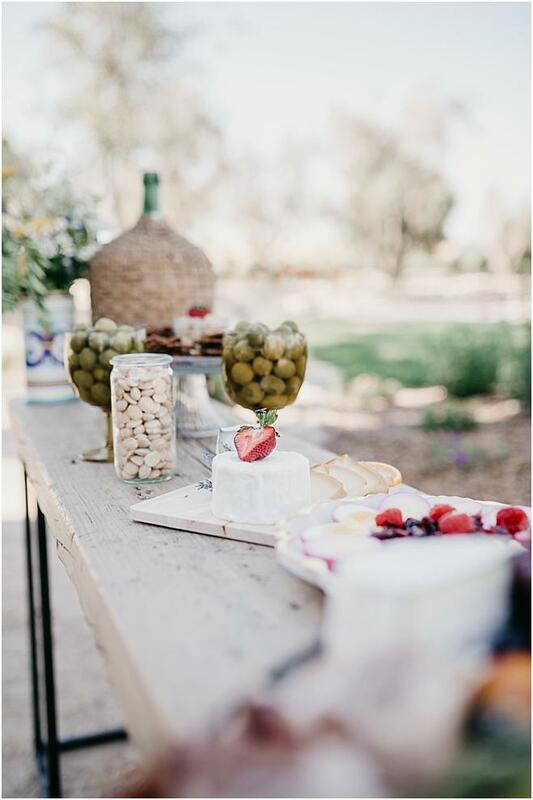 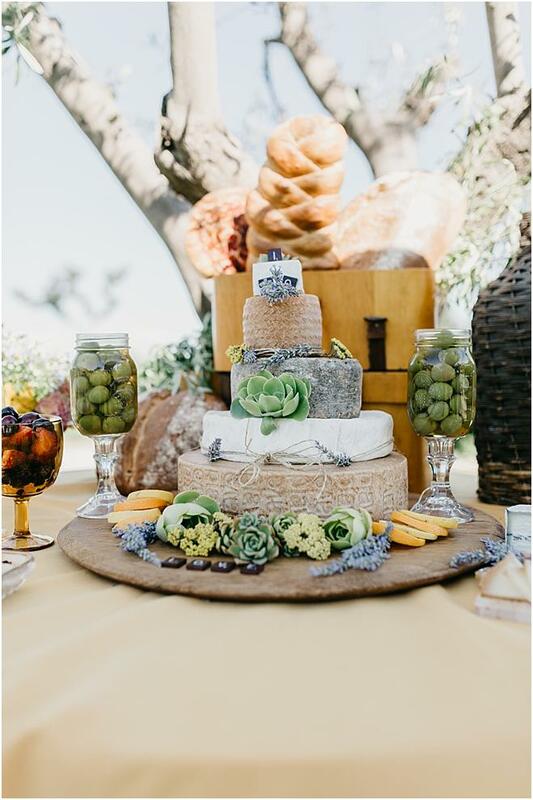 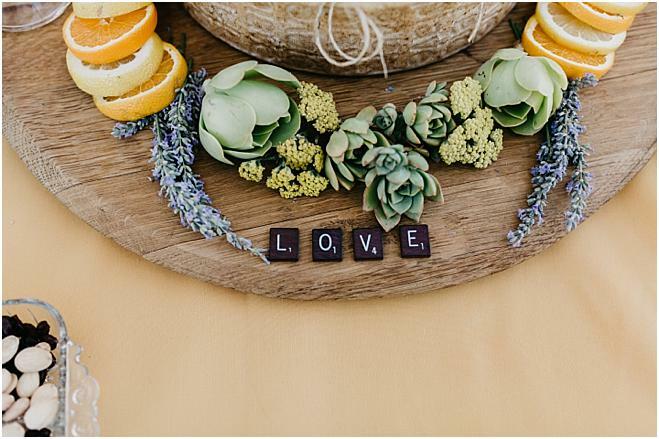 A rustic "wedding cake of cheeses" donned in fresh sprigs, succulents and fruit tied the whole table together. 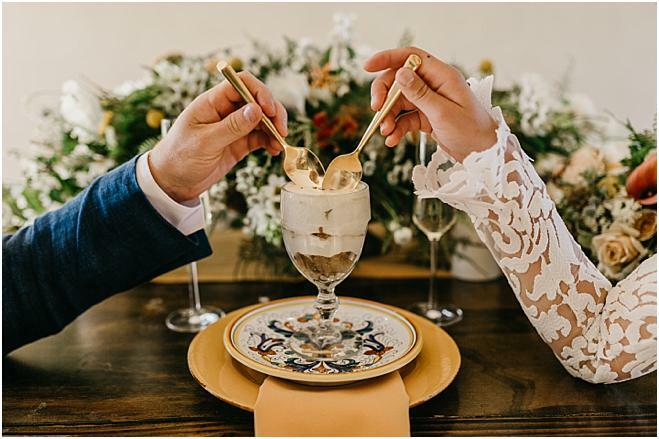 The couple shared a delectable tiramisu from Giuseppe's Cucina Rustica and celebrated with a glass of champagne from Rava Wines. 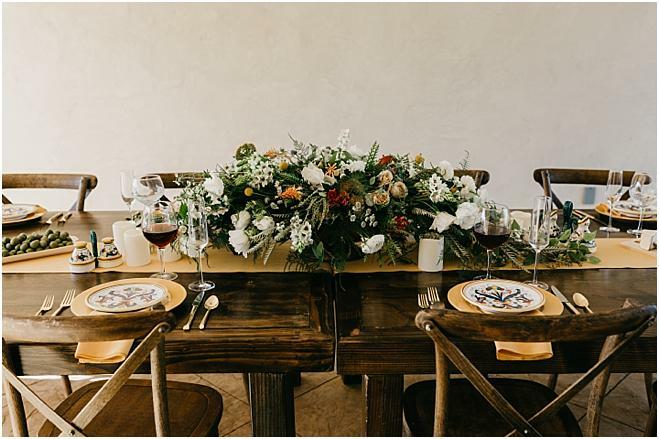 Mission San Juan Capistrano served as the backdrop for this incredible styled shoot dreamed up and executed by Debby Boh of Amber Events. 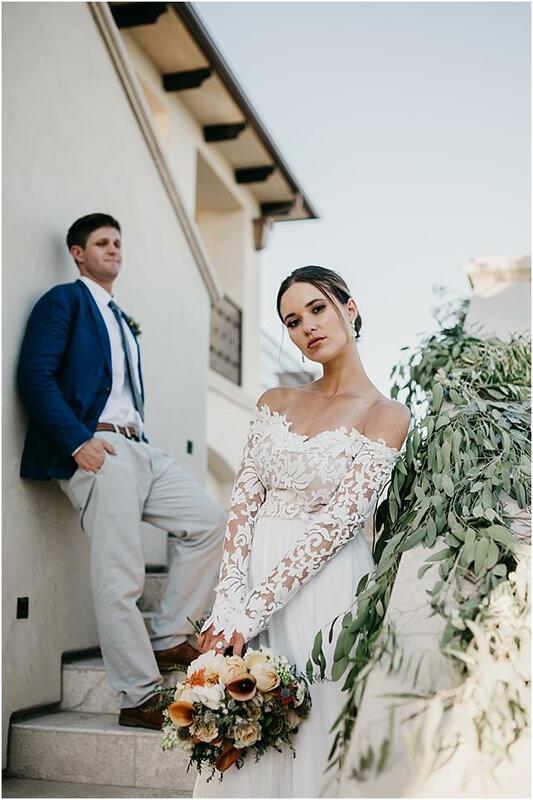 ﻿This incredible styled shoot at Vibiana showcased modern details paired with beautiful greenery and amazing rentals from some of Southern California's most talented vendors. 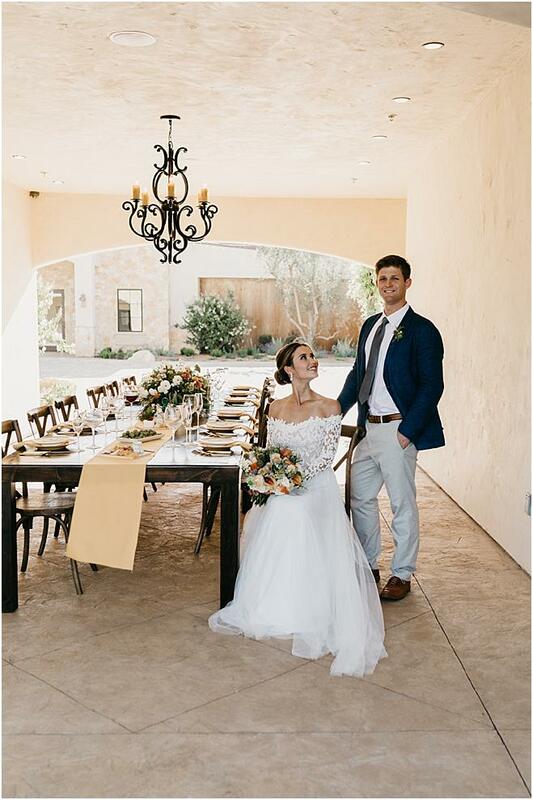 We are head over heels in love with this beautiful styled shoot at Villa Del Sol d'Oro in Sierra Madre. 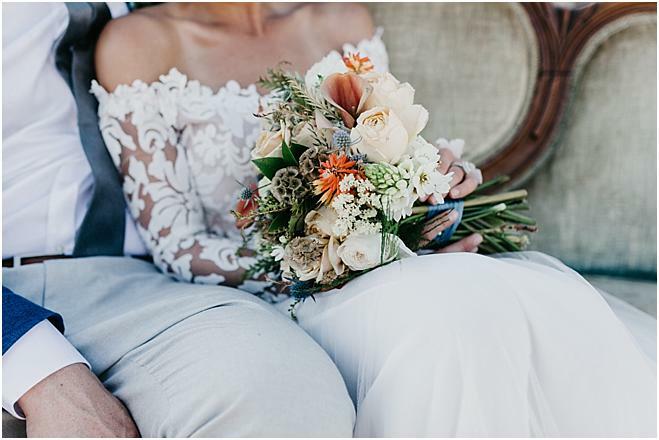 Ebony and Tim celebrated their one year wedding anniversary with a special photoshoot at Crystal Cove Beach in Laguna Beach.